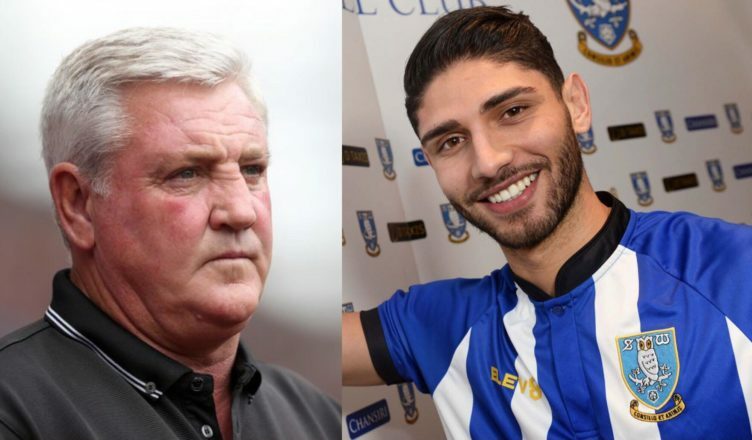 Steve Bruce reveals what he’s made of Achraf Lazaar after seeing him train at Sheffield Wednesday – NUFC blog – Newcastle United blog – NUFC Fixtures, News and Forum. Sheffield Wednesday boss Steve Bruce says Newcastle loanee Achraf Lazaar ‘looks a good player’ in training – believing he will be a ‘good acquisition’ following his deadline day arrival at Hillsborough. The Moroccan is yet to feature for the Owls, with him likely to be lacking match fitness after a long absence from competitive football, but it sounds like Burce has liked what he’s seen of him in training. “Newcastle bought him for £5-£6m two years ago and he has not really had a look in. He’s not the only one who appears to have been impressed by what he’s seen so far either. The Sheffield Star’s Dom Howson has raved about the left-back after watching him for the first time during his U-23 outing against Sheffield Utd last night – a game that included a goal from fellow NUFC loanee Rolando Aarons. Howson described Lazaar as looking ‘very quick’, stating he put in an ‘accomplished display at left-back’ in his post-match report of Sheffield Wednesday’s U-23 win over Sheffield United at Bramall Lane. Interestingly, his piece also praised Rolando Aarons, with him suggesting that both he and Lazaar have now staked a claim to get into Steve Bruce’s starting 11 for their home game with Swansea this weekend. Considering both don’t appear to have a future at Newcastle, let’s hope both can impress so we can at least recoup some sort of fee for them this summer.